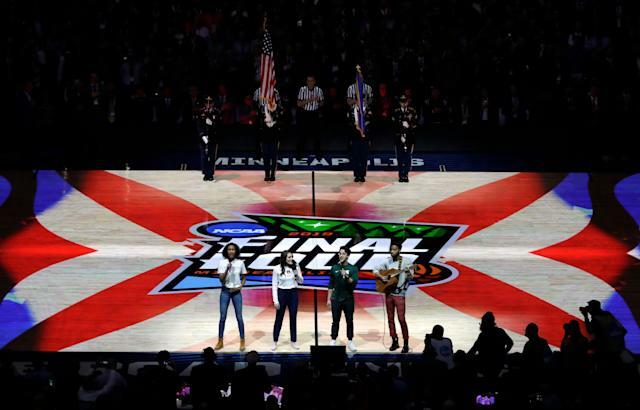 In what’s become tradition, the rendition of the Star-Spangled Banner before the tip of Saturday’s Final Four action featured representatives from each of the four participating schools. The four student-athletes — Auburn volleyball player Morgan Kull, Michigan State soccer player Zach Kovan, Virginia volleyball player Milla Ciprian and Texas Tech hurdler Dorian Williams Jr. — took an unorthodox approach, harmonizing over Williams’ acoustic guitar while tinkering at times with the melody. The Final Four invited students from participating schools to sing the anthem in 2015 in Indianapolis and has done so ever sense. 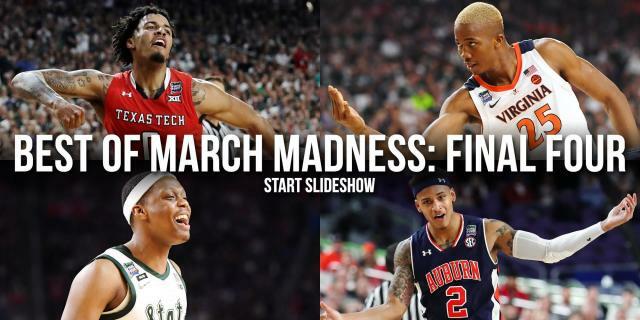 Saturday’s rendition, while different, was uplifting and set a bright tone for the beginning of the Final Four. It drew a lot of positive social media response. But as is always the case with things that are different, it also had its detractors. I'm sure some are going to have issues with the #FinalFour national anthem, but I absolutely loved this rendition. A fresh take on it and very well done. Kudos to the four student-athletes who performed. Student-athletes singing the National Anthem is pretty cool! I love sports. @FinalFour that was an awesome national anthem!!! @CBSSports That is the worst rendition of the National Anthem I have ever heard. The young people had beautiful voices. BUT THAT WAS NOT THE MUSIC AS WRITTEN!!!! The words sung to any other musical notes is not our national anthem. It is just another song. #FinalFour️fantastic national anthem!!!! Fergie were you paying attention?